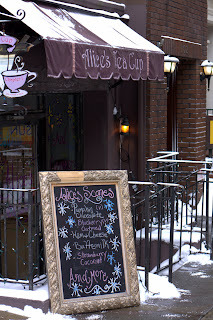 Alice's Tea Cup is a little bakery/restaurant with several locations in the city. We've been there for breakfast a few times (note: it gets really busy at brunch time), but their scones are available for take-out as well. 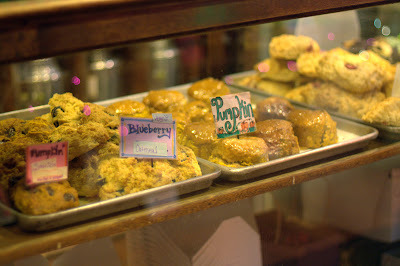 They usually have unsweetened buttermilk (our fave), pumpkin, ham and cheese, and some sort of berry scone. They also have daily specials; in the past they've had goat cheese with herbs and lemon ginger. The scones are served with preserves and sweet cream, and are absolutely delicious! But, early risers be warned - Alice's doesn't open until 8am.